Custom jewelry design as unique as you are. 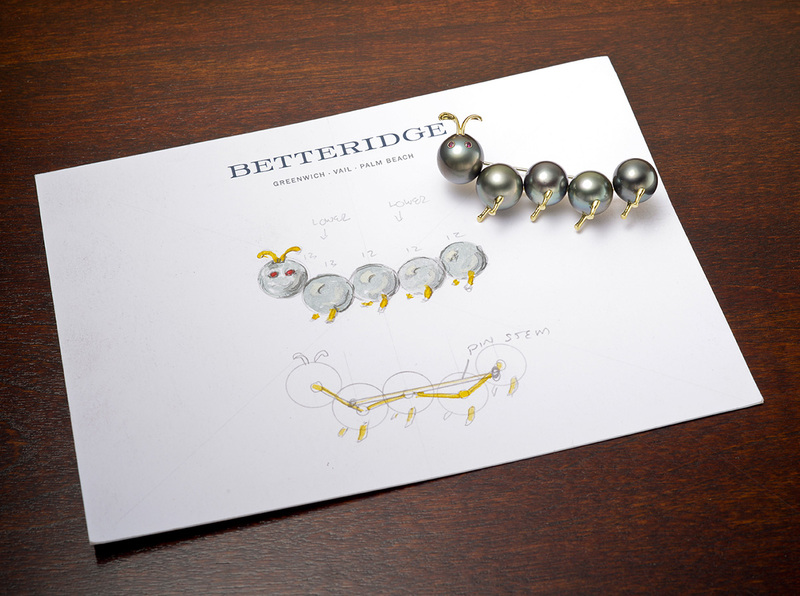 One of the true hallmarks of Betteridge is our custom-designed jewelry. If you have a vision, or an idea of what you would like to create, our in-house jewelry-making artisans can help bring it to life. 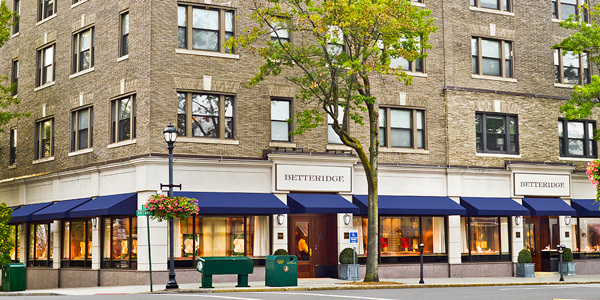 Over the last century, Betteridge has designed everything from magnificent gemstone necklaces and earrings, to unique and utterly extraordinary engagement rings. Some are inspired by works of art, some by family heirlooms, and others by the creative genius of customers themselves. 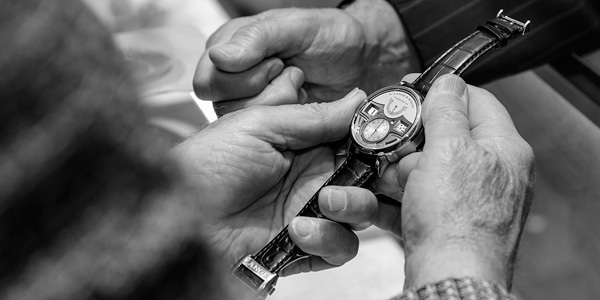 Nothing is too complex or unusual for our workshops, which employ the finest designers and craftsmen in the world. 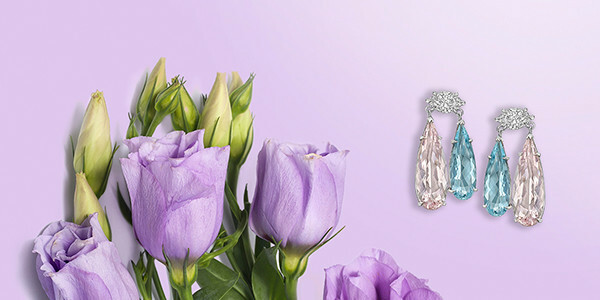 In addition to custom jewelry creation, we handle specialty design and reinvention projects, including resetting gemstones into different settings or reconfiguring jewelry entirely to create something anew. For Betteridge, there is no more significant expression of love than the presentation of an engagement ring. It is the moment every couple will cherish for the rest of their lives. 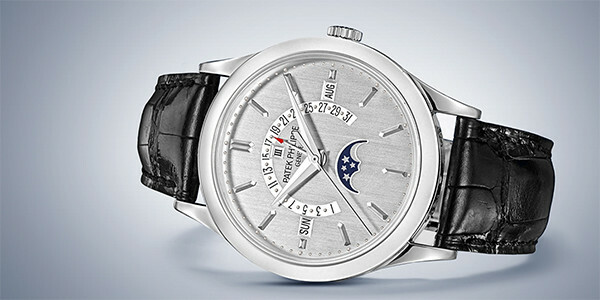 We're here to make sure the ring itself is also unforgettable, and of unparalleled quality and value. Selecting an engagement ring is a personal choice that should be driven by a complete understanding of options and opportunities. We have a broad selection of fine engagement rings in our inventory, but encourage clients to think of these rings as a starting point to help decide on a particular diamond shape, quality and size. We can then build the perfect engagement ring to your exact specifications, enhancing both the stone's beauty and ability to withstand the demands of a marvelous marriage. 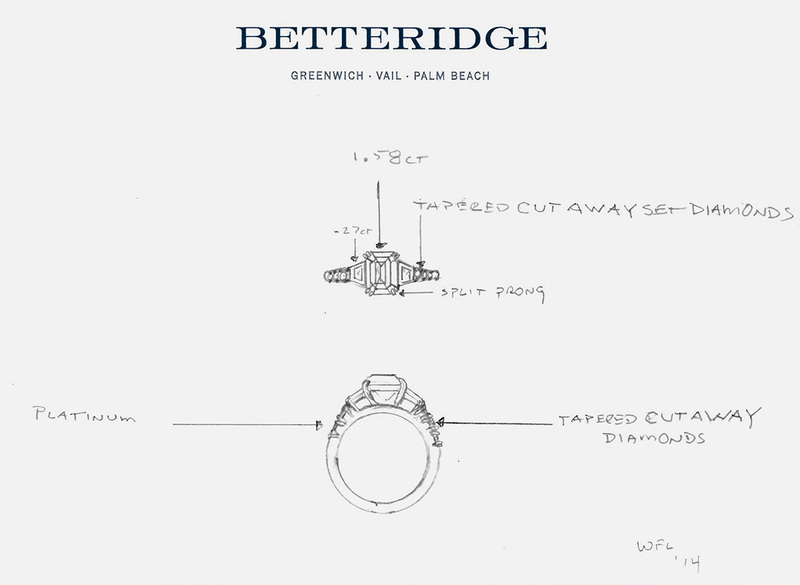 Every Betteridge engagement ring is designed to become a family heirloom—handcrafted using time honored techniques. For this reason, our diamond engagement rings are almost always designed in platinum, the most enduring of precious metals. If your heart is set on yellow or pink gold, we will happily build the ring of your dreams. 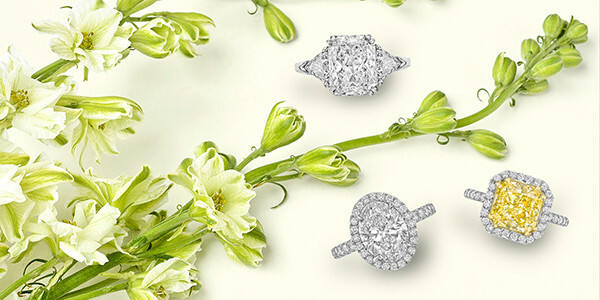 With the client in mind, we do not build engagement rings in white gold, as they don't stay white for long. If you can envision it, we can design it... whatever it may be. To schedule an appointment with our Bespoke Design Department or for information about services offered by a particular store, please contact us.